Visitors to Key West have the chance to view and interact with many marine animals and landscapes, but dolphins are certainly among the more popular of the underwater animals available for viewing. Dolphins are loved by children and adults alike for their athletic ability, graceful appearance, and friendly attitude, and visitors to the island have the unique opportunity to attend a Key West dolphin encounter during their trip. 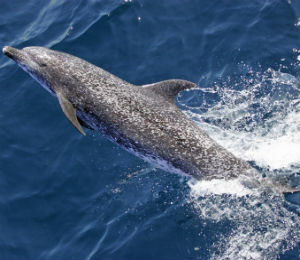 The Atlantic Spotted Dolphin, one specie swimmers may meet, is very similar to the more well known bottlenose dolphin aside from its distinctive coloring. Color-wise, Atlantic Spotted Dolphins are the Dalmatians of the dolphin world. 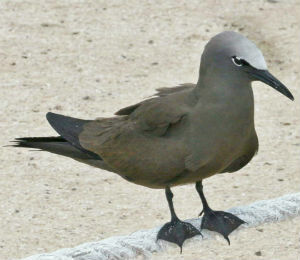 They are a dark grey color but are covered in white spots throughout their body, with a paler underside. Calves do not have the same striking coloring as their parents at birth, being paler and unspotted, but as they age they both darken and acquire their spots. Aside from this quirk in their coloring, they look very much like the dolphins most people are familiar with seeing in photos and in the media. They can even crossbreed with them, further evidence of their close genetic relationship. They have a long snout containing approximately 150 teeth, though it can vary slightly in either direction. These teeth are what give them their famous toothy grin. They also have a dorsal fin high on their back and two pectoral fins, as well as a blowhole that they breath through located on the top of their head. Spotted dolphins are usually around 2.2 meters long and about 250 pounds, making them a medium size dolphin. They become sexually mature at around age 10, though it can vary a few years in either direction. Even once mature they do not have large litters of calves. In fact, a female dolphin generally only gives birth to a single calf every 3 years or so. 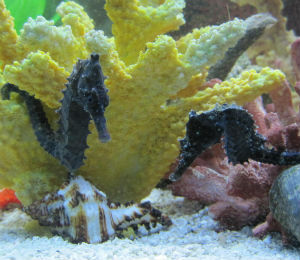 Like primates and certain other animals, they have the ability to learn specific skills, such as using a sponge to protect themselves from sand when hunting, from their parents or other dolphins around them. Their size, intelligence and agility serves them well when they are hunting or when they are defending themselves from predators. Even sharks find them to be a tough meal to catch. They are extremely skilled hunters who can work alone or in groups. When working as a team they often herd fish together to make for easier fishing, and even sometimes herd fish towards human fishermen in order to more easily pick up scraps and stragglers. 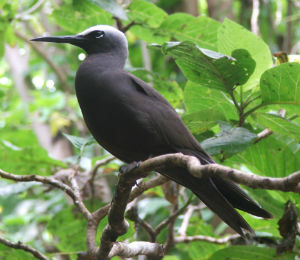 They primarily eat small fish and other underwater animals, and often prefer to fish at night. As their name implies, the Atlantic Spotted Dolphin can be found all over the Atlantic Ocean, from the United States to Brazil to Africa. Their migration pattern isn't fixed, with some dolphins migrating annually and others staying in the same general area year-round. Though they're found in deep water as well, they are most often seen near the coast, in relatively shallow areas. Though dolphins can dive quite deep on occassion, they usually prefer these warm coastal waters where they can easily hunt and come up for air.